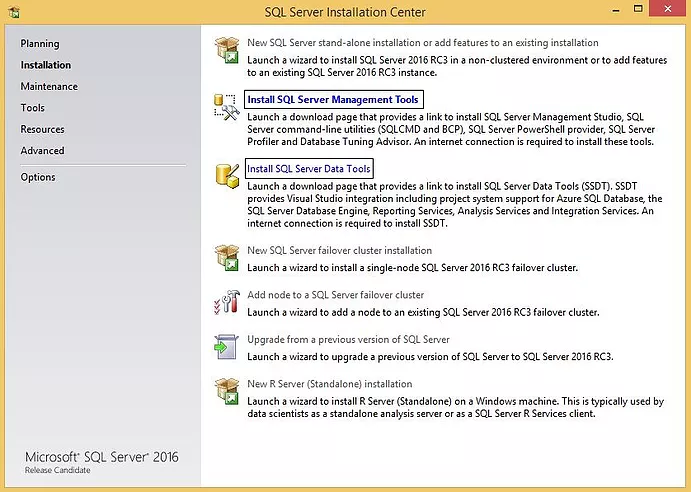 The installation of SSMS 2016 is different and it’s a separate installation. 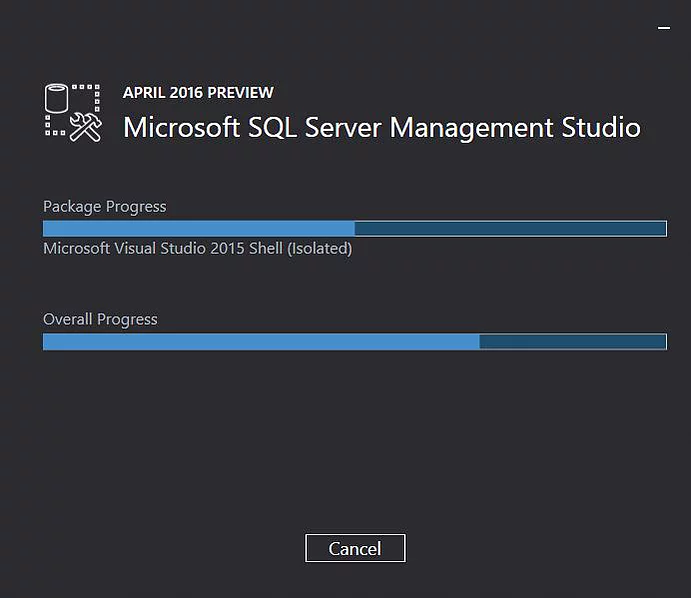 It’s not a part of the SQL Server installation as it was the case until SQL Server 2014. The link from the window below forwards you to the newest release which you can download and install. Similarly, you can download the Data Tools as a separate application here. Data Tools were possible to download and install as a separate application before SQL Server 2016 as well.